Featuring beautiful cat cremation urns. 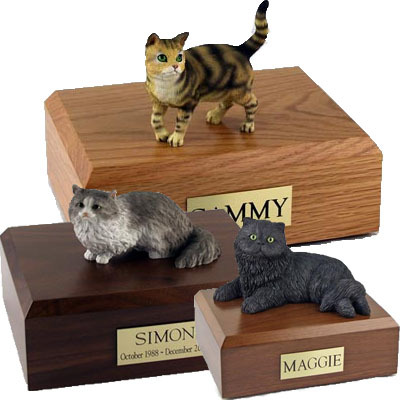 Top quality and affordable cat urns that will gently hold the sacred ashes of your beloved kitty. We can engrave your memorial urn and ship it free the same day. Pleace your order online or call us at 800-511-0295.